After nearly a year’s rest, The Drop is back. Channel 4 is bringing back its somewhat trusty workhorse, The Million Pound Drop, for a brand new series this Friday, July 11th, at 8:00PM UK (3:00PM ET if you watch it through other means). The Davina McCall-hosted quiz gives contestants £1,000,000 in 40 £25,000 stacks. The contestants must gamble their entire bank each question by placing stacks of money on trap doors corresponding to answers. If any money is placed on a wrong answer it drops out of play. The only major change for this eleventh series is the format will switch to the seven question format first adopted by America for the Fox adaptation Million Dollar Money Drop. Last series, after question seven, contestants could keep their winnings or go double or nothing on one final question, the Final Drop. That element has been eliminated and whatever you win after question seven you leave with. The new series will launch with stars from Channel 4’s popular show Gogglebox Stephen & Chris. Regular contestant versions will be played throughout the next eight weeks along with other celebrity editions. 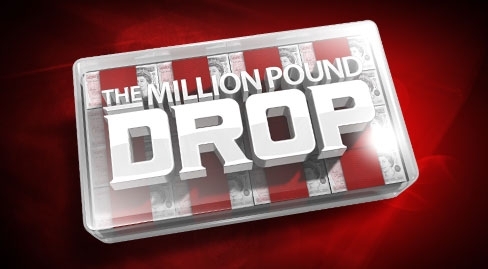 The Million Pound Drop launched in 2010. Originally aired as a live series, this new batch of episodes have been pre-taped. The highest non-celebrity total won, to date, is £300,000. Be sure to watch Friday to see if someone can beat it. It’s not without its faults but it’s a fun little show and after a year away I am pretty excited to see it again.